Mr. Kabir Ahmed was born in a respectable Muslim family in 1975. He is the son of Founder Chairman and Ex-Director Late Al-Haj Giashuddin Ahmed of Peoples Insurance Company Ltd.
After completing his academic education Mr. Kabir Ahmed joined in his father’s business, where he has gathered a vast experience and knowledge. 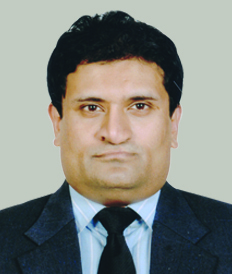 He is one of the Directors of Popular Life Insurance Co. Ltd., Popular Jute Exchange Ltd., Popular Jute Mills Ltd., Tejgaon Engineering & Construction Co. Ltd., Popular Food & Allied Industries Co. Ltd., Comilla Food & Allied Industries Ltd., Popular Equities Ltd. Mr. Ahmed is the Managing Director of Peoples Equities Limited.